Last week I posted about a review of learning technologies that I am doing for a large corporate organisation. At that time I was developing requirements and scope for the review, which aims to develop a high level three year plan for learning design and delivery technologies. I’ve now finalised a list of requirements for the review. 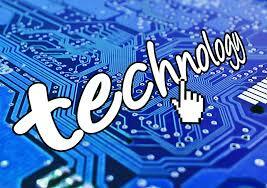 evaluation of feasibility and benefits of technologies. I drafted the requirements by reviewing outputs of workshops held a couple of months ago that focussed on (a) internal customers of Learning and Development (L&D), and (b) current and future learning solution approaches. From these a set of requirements could be derived that would meet current and future customer needs, and also enable preferred approaches to learning solution delivery into the future. These draft requirements were reviewed in a short workshop with people from Information Technology and a small group of L&D Leaders. The final set of requirements is listed below, noting that for each item on the list a short (1-2 sentence) statement was written to describe the requirement. In the workshop we recognised that the requirements list could be used as an ongoing set of requirements when new technologies or tools were being considered in the future. I’m interested to hear if anyone else picks up this list and uses it in their organisations, and also if there are additions you would suggest. This entry was posted on October 9, 2017, 6:00 pm and is filed under Learning Technology. You can follow any responses to this entry through RSS 2.0. You can leave a response, or trackback from your own site.